• The African Aviation Tribune •: ■ TUNISIA: Royal Luxemburg Soparfi SA set to invest in unnamed Tunisian carrier shortly. Salvatore Cugliari, CEO of Royal Luxemburg said the firm, which is headquartered in Luxembourg, is tendering for an unnamed Tunisian airline as well as private telecoms company, Tunisiana. "The job of Royal Luxembourg is to buy companies that are experiencing difficulties due to the high cost of labor and to relocate to sites where production factors are more competitive (low wages)," he said, adding, "in the case of Tunisia, Royal Luxembourg has decided to invest in industry and financial holdings." Royal Luxemburg Soparfi SA is a financial holding company based in Luxembourg with share capital of USD161million (EUR125million). Founded in 1997, it has numerous interests in the field of banking and finance. SOPARFI (SOciete de PARticipations FInancieres), also a financial holding company, is involved in the management of investments in other corporations. 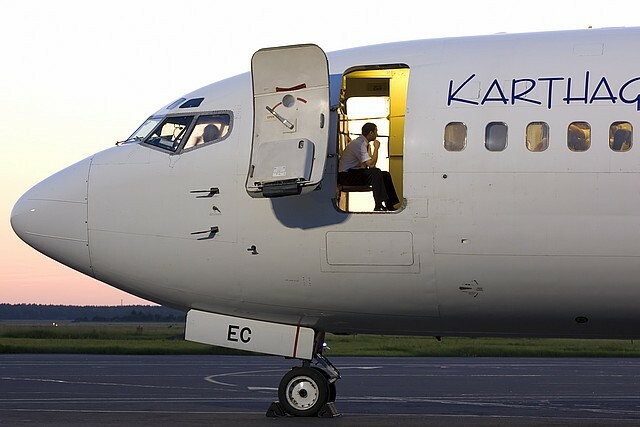 Tunisia, at present, has several licenced operators: Karthago Airlines, Nouvelair, Sevenair, Syphax Airlines, Tunisair, Tunisavia. Startup Jasmin Airways' licence is still pending. ► MALI: Douniah Airlines to start ops from 2013. ► ZAMBIA: Zambezi Airlines ceases ops until 2013?